Remember Michael Weimer, the guy who was detained on April 17 because a “concerned citizen” who saw him walking near Broadway and Irving Park Road thought he looked like a serial bank robber? You know, the Michael Weimer who was found minutes later, detained as a suspect, and charged with possessing a controlled substance—but was subsequently released without being charged with the bank robberies? Well, he’s been arrested again and is now charged with bank robbery—but not before he could rob another bank. Prosecutors charged him last Thursday with the April 14 robbery of a TCF Bank branch inside of Boystown’s Jewel-Osco store, 3531 North Broadway. The sealed complaint was made public today. Weimer, 35, handed the teller a note that said, “Don't say nothing, no packs, 100's, 50's and 20’s,” and repeated the same words verbally, according to the federal complaint. • The bank robber jumped into a taxi cab after robbing the store. • Cops caught up with the taxi cab moments later—but not before the robber got out near Fremont and Grace. Even though Chicago cops had Weimer in their grasp, the arrest report from the "concerned citizen" incident states that the FBI Joint Task Force told 19th District officers to "proceed with local charges only at this time" and Weimer was quickly released after paying a $1,000 bond. 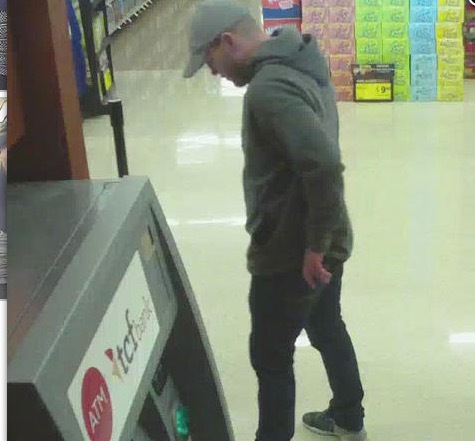 Less than a week after Weimer was cut loose, he went out and robbed the TCF Bank branch inside of a Jewel-Osco store at 3570 North Elston of approximately $2,000, according to a source and the FBI. He is not yet charged with the Elston robbery, but evidence obtained from the hold-up note that he left behind that day will play a critical role in his prosecution, according to a source. Friends of Weimer have been messaging CWB Chicago ever since he was released by police. “I know him and pray he gets caught before he gets in more trouble or gets hurt,” a friend wrote, adding that Weimer was suffering from an addiction and needed help. In addition to the Boystown and Elston hold-ups, the FBI says Weimer robbed the TCF Bank at 4355 North Sheridan on March 24 and the TCF Bank at 2940 North Ashland on March 30. So far, he is not charged with those crimes.